I know I’ve been behind my stash reports – there are so many ‘ins’ that I could hardly keep up! I will save that for a later post. Anyway, I’m taking a break from my work to share a little bit of what’s been on my mind for weeks! 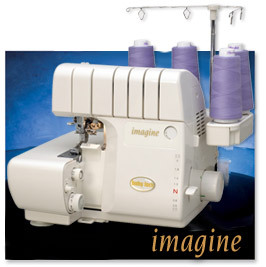 Meet the Baby Lock’s Imagine serger. I visited Ban Soon a couple of weeks before to take a look at the Eclipse DX. The only difference between Eclipse DX and the Imagine is that the Imagine has the automatic tension feature. I’m inclined to go the idiot-proof way, and the price difference is not too big. But STILL, it is going to be a hefty investment and I’m still dithering on whether to buy now or later (I mean, whether to buy one or not!). 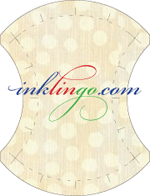 I really want one now, so that I can start cutting and sewing up projects for home. And I can still wait because I have a great sewing machine and I don’t see myself taking much time from work to work on my existing projects, let alone start new home decor projects. Am I going to crazy enough to pay S$1,800 for a machine to make pillow cases, cushion covers, napkins, etc? I think if there are friends who know me and reading this post, they are probably nodding their heads off. Sigh. I too am planning to get a serger. Already made a small downpayment for the janome mylock 344D serger.